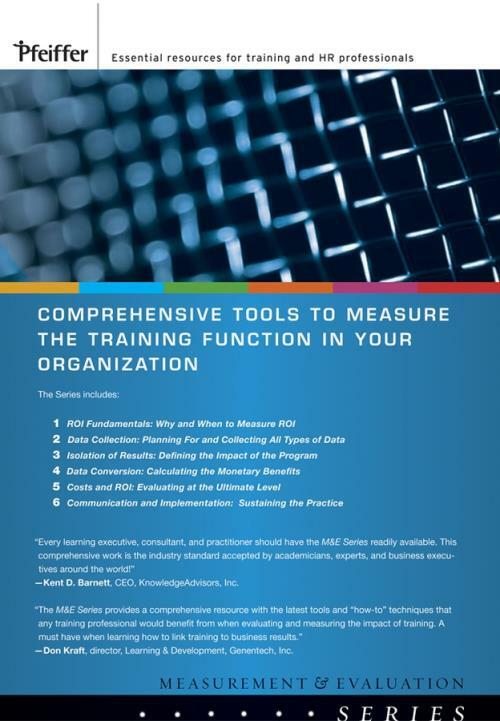 Comprehensive tools to measure the training and development function in your organization. "Every learning executive, consultant, and practitioner should have the M&E Series readily available.This comprehensive work is the industry standard accepted by academicians, experts, and business executives around the world! "––Kent D. Barnett, CEO, KnowldegeAdvisors, Inc.
"The M&E Series provides a comprehensive resource with the latest tools and "how–to" techniques that any training professional would benefit from when evaluating and measuring the impact of training. A must–have when learning how to link training to business results." ––Don Kraft, director, Learning & Development, Genentech, Inc.